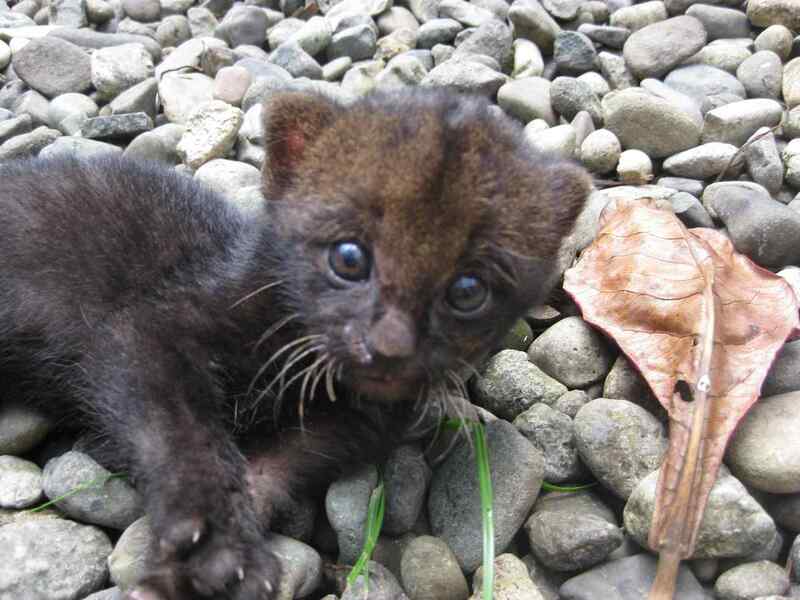 This is SHAKIRA , the jaguarundi. A bulldozer was clearing jungle area near Guapiles and this juguarundi was dugged up from underneath the bulldozer. 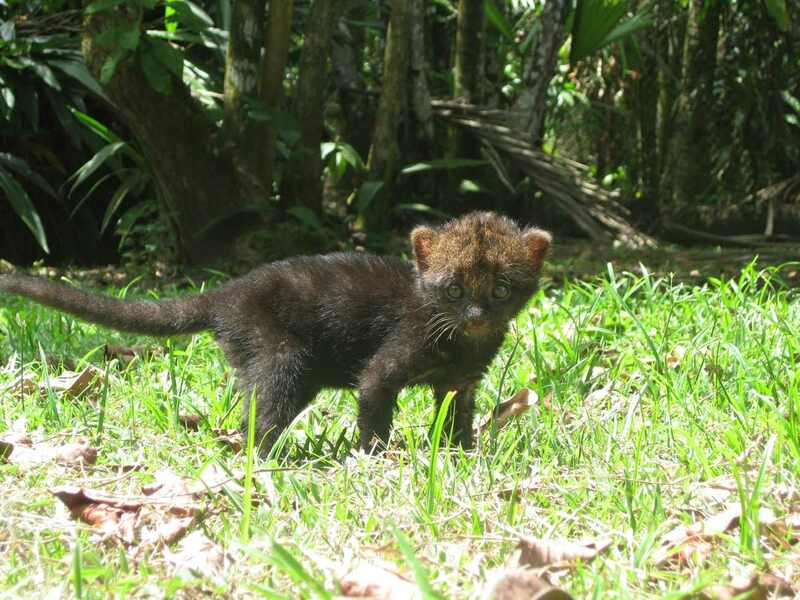 They contacted the officer of the MINAET and he brought the little baby jaguarundi ( probably just 1 or 2 weeks old) to Tree of Life. Jaguarundies are not common and they are considered to be in danger of extinction and are protected by the Wildlife Conservation Law.